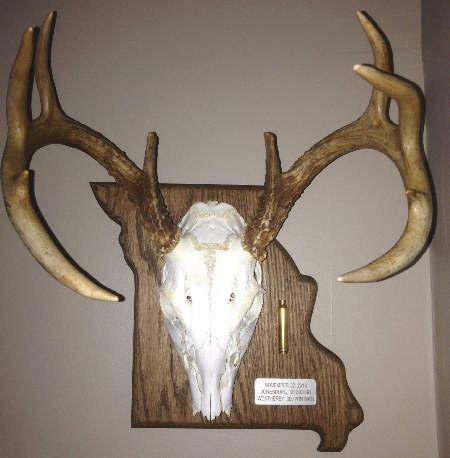 �Another great addition to our line of hand-crafted After The Shot Trophy Plaques is our European Skull Mount Plaques. 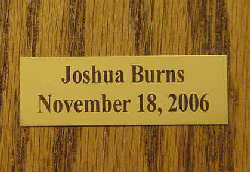 We now offer our unique plaques in a size big enough for your skull mounts. �European style skull mounts are fast becoming popular and these solid oak plaques give you a new option to display your trophies. 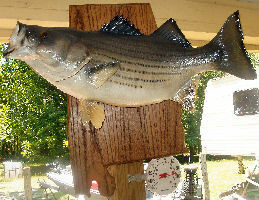 This larger size also allows for the mounting of larger trophies like moose antlers. � Specify the approximate size of plaque you desire and we'll do our best to accommodate you. IMPORTANT: Some of our "regular" size Trophy Plaques are already big enough to do this style of mount so contact us before ordering. As a general rule, any plaque wider than 11 1/2" falls into this plaque category with some exceptions so contact us before ordering. 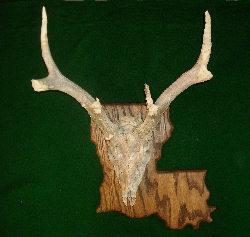 Louisiana - 15 1/2" x 15"
Missouri - 12 1/2" x 14"
Alabama - 14" x 22" Some states may not look good or might not be able to be made in this style of plaque. Contact us with any questions about your state at: sales@backwoodsbound.com. Approx. Size: 1" high x 3" wide. � Now you can add all the information about your trophy with our Trophy Tags metal placards! Made from brass with black lettering, they will add that final touch to all of your trophies. Easy to install! No holes to drill or nails to drive! They conveniently stick on! � Offered in two sizes; 1 1/4" x 3 1/4" with three lines of text or 1" x 3" with two lines of text. We'll contact you after receiving your order to get your information for your placard.